Teddy bear dog breeds are pups that look like cuddly toys! We’ve tracked down the best puppy plushie lookalikes, that also make great pet dogs. What breed is a teddy bear dog? How much do teddy bear dogs cost? Are teddy bear dogs good family pets? How big do teddy bear dogs get? Or keep reading for the full story and for a list of teddy bear dog breeds! Recently, teddy bear dogs have been gaining popularity as pets. 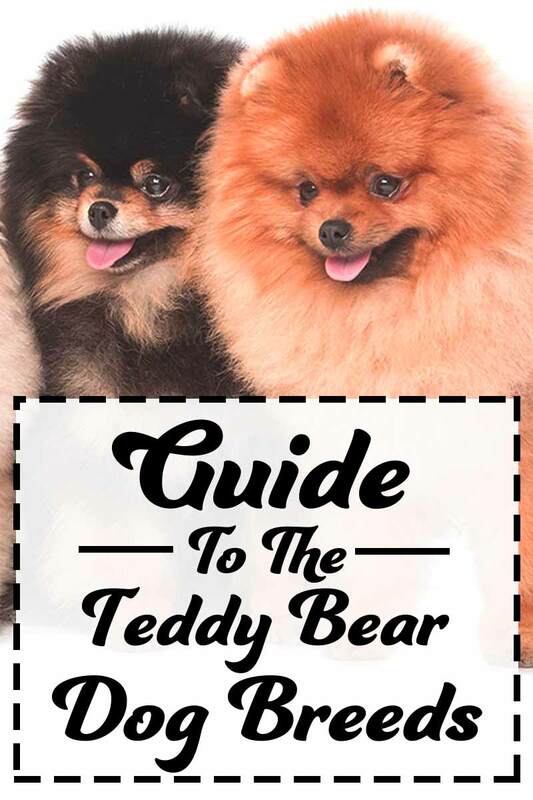 If you’re looking for info on the teddy bear dog breed, this article will give you the low down on the most popular choices. There are several types of teddy bear dog, and one of them might well be your new bestie! You may be wondering, what breed is a teddy bear dog? But wait! It’s not just one breed! The name ‘teddy bear dog’ doesn’t refer to a single, official breed. There are several teddy bear dogs, both pure and mixed in their lineage. Teddy bear dogs get their name from their teddy-like features: their button nose and eyes and soft, fluffy fur! 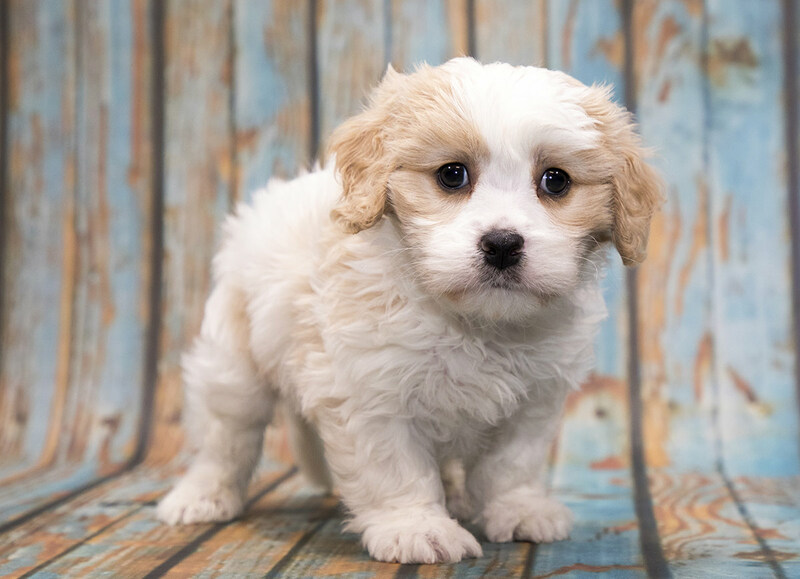 The most popular hybrids are between Shih Tzus, Bichon Frises or Poodles, but there are other options too! Mixed breeds may be like either parents. And they can inherit the health problems either parent breed too. It is important to know these before getting a teddy bear dog, to make sure you get one that suits you best. And who will provide a healthy and happy member of your family. It’s also important to remember that the teddy bear dog breeds might look like toys, but they are still dogs. Don’t be tempted to treat them like teddies, no matter how soft and cuddly they might be! Because teddy bear puppies are all so different, the price for them varies hugely! You can get them for as little as $500, or even as much as $3,000! No matter what price you spend, it’s always important to make sure you use a reputable breeder to minimise health risks. Because teddy bear dogs include many different breeds and breed mixes, there is no single size. All are smaller than average dogs, and some are very small indeed. To find out how big your teddy bear puppy will grow, you’ll need to decide which type of teddy bear dog you are going to adopt. Let’s look at some different types of teddy bear dog! A Zuchon teddy bear dog is a cross between a Bichon Frise and a Shih Tzu. It’s quite a small dog. Most will weigh between 12 and 14 pounds, and grow up to be 12 inches tall. They live for up to 15 years, which means, like any other dog, they’re a long commitment! Zuchons are usually playful, loving, active dogs, that can make a great family pet when well trained and socialized. They’re especially good as family pets in homes where someone is around during they day. This is a dog that loves attention, and dislikes being left alone for long periods of time. All hybrid breeds are vulnerable to the health problems of their parent breeds, which for the Zuchon, can include canine hip dysplasia, deafness, liver disease and epilepsy. However, you always need to be aware of any health problems your Zuchon may have, with regular checkups at the vet. Shichons are another name for a hybrid between a Shih Tzu and a Bichon Frise, like the Zuchon. These dogs make great family pets because of their loving, lively temperament and some may not shed very much. This means that some people who suffer from dog allergies can live with them. The coat color of the Shichon teddy bear dog varies depending on its parents, but it generally has a long silky coat, which can even be curly. 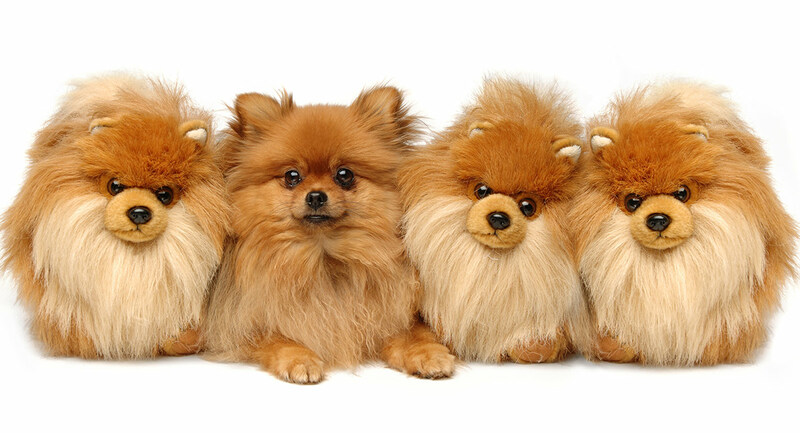 Pomeranians are loved for their thick, fluffy coats, curled tails, small ears and teddy bear-like faces. Pomeranians descended from the Spitz dog family, and were recognised by the American Kennel Club in 1900. They are curious, playful, confident dogs, but can be shy and cautious around strangers and other dogs if not socialised from a young age. Even though Pomeranians are small, they require daily exercise and grooming at least twice a week. These dogs can be susceptible to certain issues, including patellar luxation (knee dislocation), shoulder luxation, progressive retinal atrophy (a degenerative disorder that causes blindness), and entropion (abnormal eyelid), among others. You can find out more about the gorgeous Pomeranian here. A popular mini teddy bear dog is the teacup pomeranian. Teacup puppies are generally considered to weigh less than 5 pounds and are loved for their tiny, cute stature. Teacup Pomeranians are even smaller and fluffier than normal Pomeranians! However, teacup puppies aren’t always the best choice for a pet. This is because, they are vulnerable to multiple health issues. Teacup dogs are sometimes created by breeding the ‘runts’ of litters to make the smallest puppy possible. These puppies are less healthy than full sized dogs. Common health issues for teacup dogs include heart defects, seizures, respiratory problems, digestive problems, blindness and arthritis. Tiny dogs need tiny, frequent meals or they can suffer from fatal attacks of low blood sugar. If you’re considering getting a teacup dog, you must be willing to give it the extensive care it needs. You’l need to carefully monitor your puppy’s food to keep blood sugar levels regular. And to make sure treads on them. And ensure they don’t fall from any high surfaces. They are cute, but to be honest, ultra small dogs are best avoided. If you’re happy with slightly larger teddy bear dogs, a regular Pomeranian, or another hybrid listed in this article may be a better choice. The Poochon is a hybrid between a Poodle and a Bichon Frise. These dogs live for up to 15 years, and are relatively small. They are easy to train, and, although they don’t shed much, they require regular grooming. Poochons are highly intelligent dogs, and love socialising – they can suffer from separation anxiety if they’re left alone for too long, so aren’t a great choice if you spend a lot of time away from home. They’re also good with older children, although their tendency to be boisterous when playing can mean they’re not as suitable for families with younger children. These teddy bear dogs require daily exercise and mental stimulation to keep them healthy and happy. They can also be prone to health diseases like Progressive Retinal Atrophy, hip dysplasia, patellar luxation and more, although, like any teddy bear dog, these issues are less likely if you have a first generation hybrid. 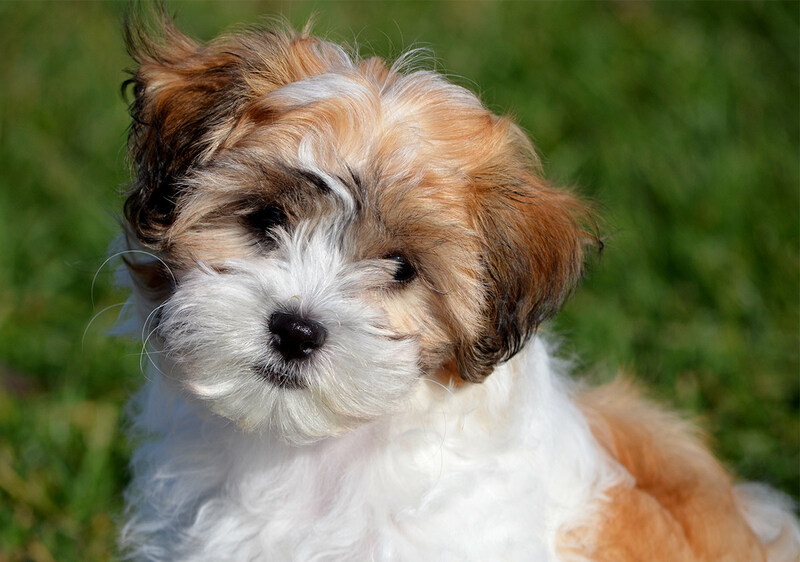 Shih Poos are a cross between a Shih Tzu and a Poodle (usually either a miniature poodle or a toy poodle). 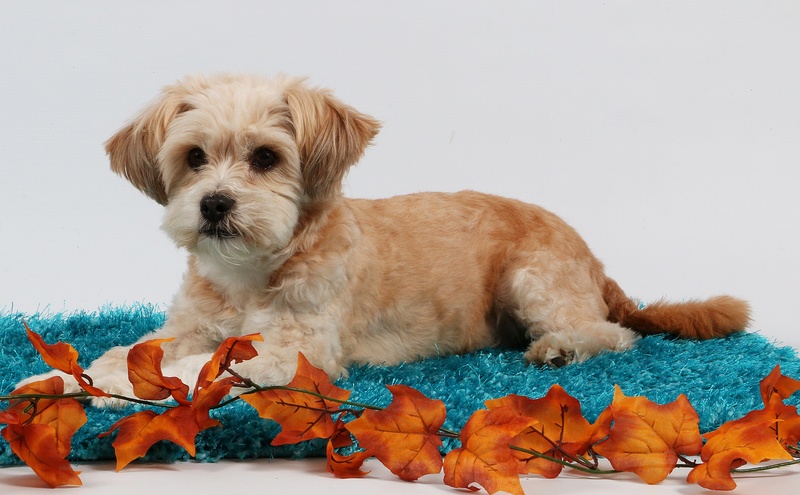 Like the other teddy bear dogs we’ve looked at, the Shih-poo is an intelligent, easily trained dog, that doesn’t particularly like being alone and needs quite a lot of care. They require daily exercise, but their grooming needs depend on what sort of coat they inherit! 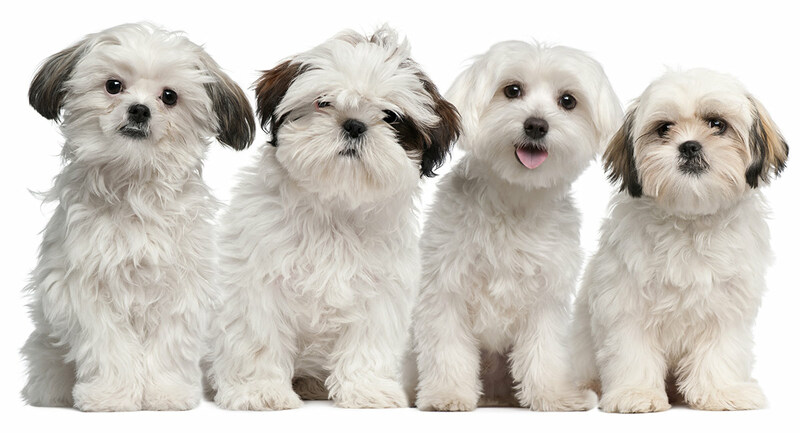 Shih-poos come in a variety of colours, including black, brown, cream, red, sable, and white! This hybrid inherits the fun-loving, affectionate personality of the Shih-Tzu and the intelligence of the Poodle! It’s important to start training and socialising these dogs early, to make sure they are happy and confident when they are adult teddy bear dogs. You should be careful with Shih-poos around smaller animals and young children, as they can be boisterous when playing. Shih-poos can live up to 15 years, but may inherit problems from their parents, like respiratory problems, eye issues, Progressive retinal atrophy, ear problems, epilepsy, and more. You can find out more about the Shih Poo here. 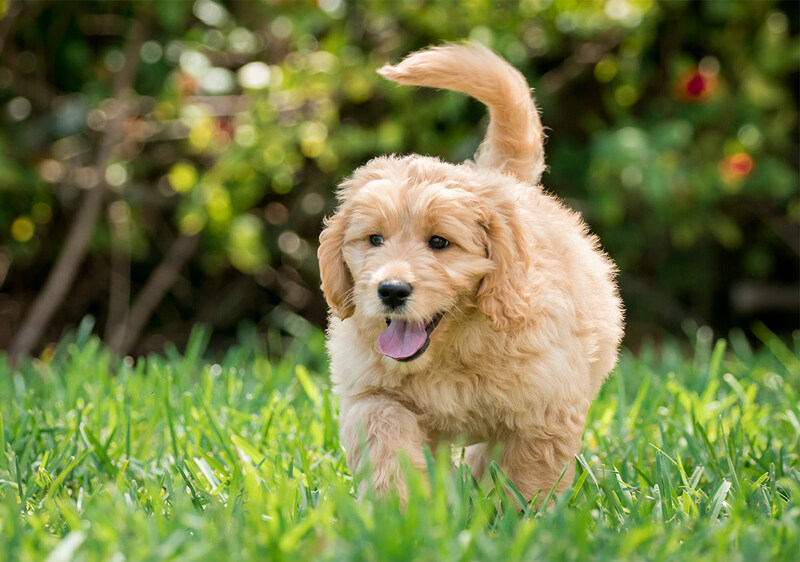 If you’re looking for a big teddy bear dog, you might like the Goldendoodle! This is a cross between a Golden Retriever and a Miniature Poodle. These are great choices for family pets, as they’re loving, confident and loyal dogs that are easy to train, thanks to their high intelligence, and their naturally social personality! However, their loyalty means they may experience separation anxiety when left alone for too long. Like other hybrids involving poodles, their grooming needs will depend on the type of coat they inherit. This coat can be a variety of colors, from black, grey or red to golden, chocolate, or cream! Miniature Goldendoodles require a lot of exercise, so don’t suit living in small, cramped apartments where they can’t run around. 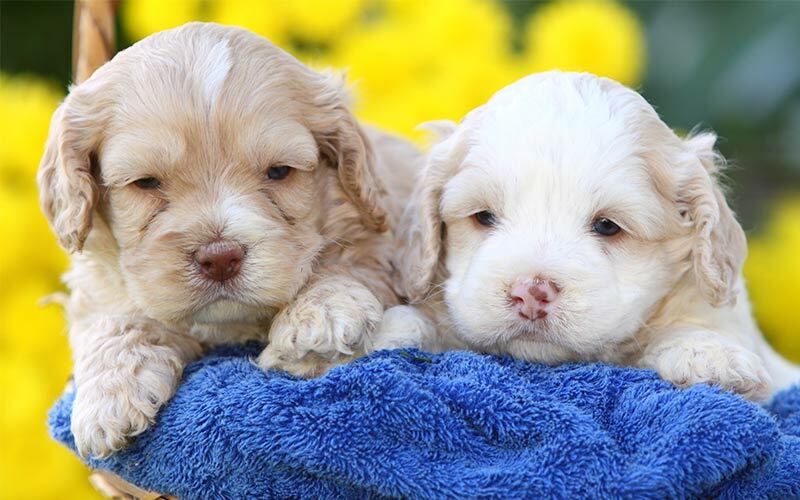 Miniature Goldendoodles usually live between 10 and 15 years when healthy, although can experience some health issues, especially if they aren’t a first generation hybrid. They may be affected by hip or elbow dysplasia, patellar luxation, ear infections, allergies and more. The Golden Retriever is sadly very prone to cancer, and as a result you will want to find a pup from a parent with no family history of this. They are quite small, usually growing up to 14 inches tall at the withers. They are incredibly loving and intelligent dogs, who respond well to training and suit families who can dedicate a lot of time to taking care of it. Like most of the teddy bear dogs we’ve looked at, the Maltipoo forms strong bonds with humans, which can result in separation anxiety and can make them depressed. They benefit from daily exercise and regular grooming, especially if they inherit a curly poodle coat. Maltipoos can be vulnerable to the health problems of Maltese and Poodle breeds, a few of which include: skin problems, patellar luxation, progressive retinal atrophy, epilepsy and so on. These breeds are a great choice, and can live up to 13 years old when healthy. 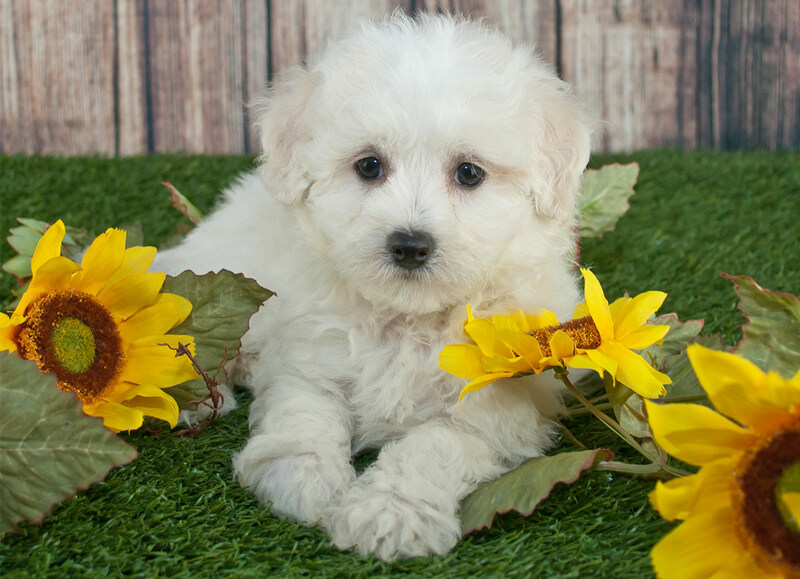 You can find out more about the Maltipoo here. 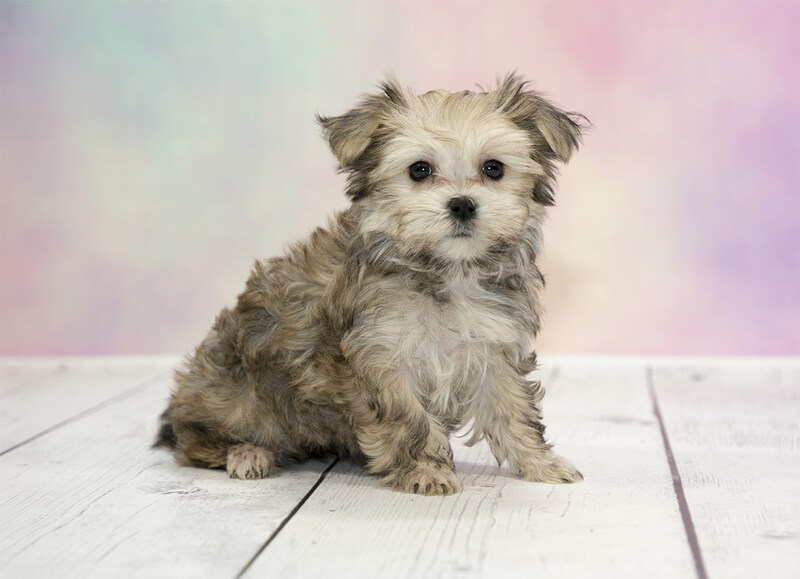 Morkies are a hybrid of Maltese and Yorkshire Terrier breeds and are a great choice if you want a mini teddy bear dog! This is an affectionate, social crossbreed, that loves playing with people, making them perfect for families that have lots of time to spend with it. Because they are so tiny, Morkies can be easily hurt, which means they need to be looked after carefully, and may be better in families without small children. Their stature also means they don’t need as much exercise as other teddy bear dogs, and so can suit people that don’t have as much space at home, as long as they get a daily walk! Morkies can be quite stubborn, so need lots of patience when being trained! Whilst Morkies are playful and happy, they can have a tendency to bark, especially when left alone! The health problems this teddy bear dog can potentially face include issues with eyes and ears, as well as patellar luxation and hypoglycemia (low blood sugar). Their small mouths can also sometimes lead to dental overcrowding and gum disease problems. So you will need to be sure to brush their teeth. A healthy Morkie can live up to 13 years, making them a great family pet! Schnoodles are a crossbreed between a Schnauzer and a Poodle. Their size varies depending on the type of poodle used – you can get a smaller Schnoodle measuring up to 30cm at the withers, or a larger one, measuring up to twice that high! Their coat color depends on what they inherit from their parents, as does the length and curl of their coat! They usually require a lot of grooming and attention, as they love being surrounded by their families. Their temperament can differ depending on the characteristics they inherit, but they are generally affectionate, loyal dogs. It’s good to socialise them from a young age so they’re more comfortable around new people, animals, and situations. As long as schnoodles are well-socialized, they’ll get on well with other dogs in your home, however can be a little boisterous around younger children. Training Schnoodle is also pretty easy, due to their intelligence! 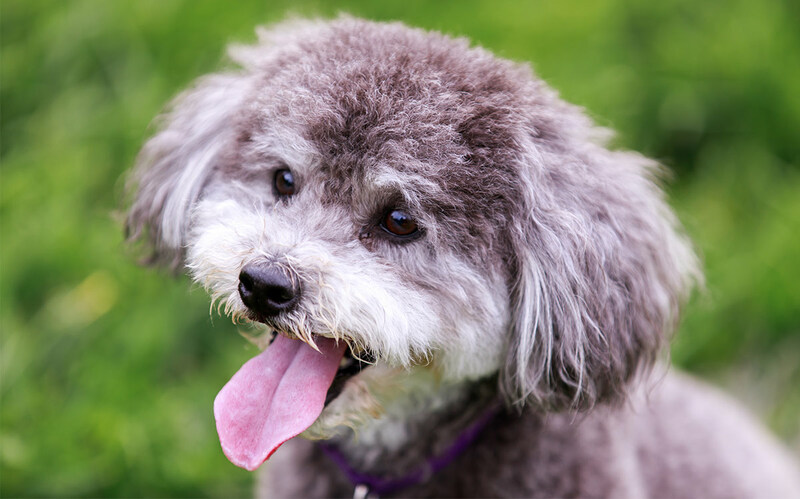 Healthy Schnoodles can live for up to 15 years, however they’ve been known to suffer from some common health issues. This includes hip and elbow dysplasia, progressive retinal atrophy, cataracts, patellar luxation, epilepsy and more. These health issues reinforce the importance of regular checkups with your vet. To help prevent these issues, you should help your dog maintain a healthy lifestyle, feeding it the correct amount and giving it daily exercise, especially as Schnoodles are easily bored! Cavapoos are a relatively small cross between a Poodle and a Cavalier King Charles Spaniel. These dogs are social, loyal and intelligent and respond well to training. Their coats are generally quite high maintenance, and require regular grooming. When socialised from a young age, Cavapoos get on well with other animals and children of all ages, meaning they can be a great choice for a family pet. Their love for people can lead to separation anxiety when left alone for too long, so it is important to make sure you have enough time for this teddy bear dog. Cavapoos require daily exercise to keep them happy and healthy, as they can be prone to certain health issues. When healthy, Cavapoos live up to 15 years old, but they can be vulnerable to certain health conditions. These include hip dysplasia, progressive retinal atrophy, syringomyelia (a serious brain condition common in King Charles Spaniels), diabetes, and many more. We do not advise ever buying even a Cavalier King Charles cross unless the Cavalier parent has been tested clear for this condition. 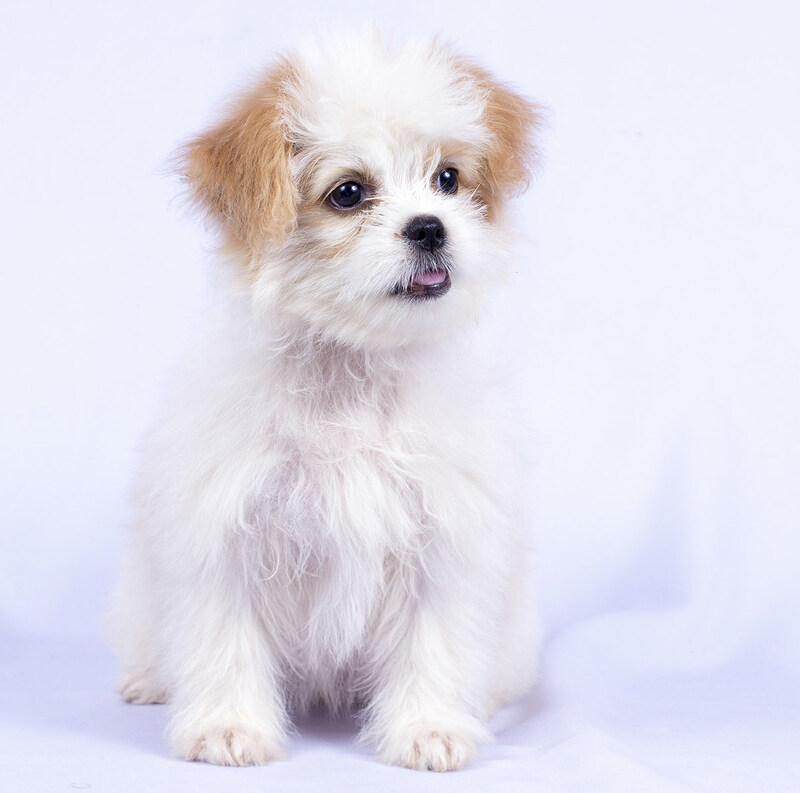 The Malshi is a mix between a Maltese and Shih Tzu. These teddy bear dogs are small, with charming personalities – they’re loving, and quick to learn, which makes training easy. If Malshis aren’t trained and socialised properly, they can be nervous in new situations, which can lead to excessive barking. The health conditions that are most common in Mashis include patellar luxation, hip and elbow dysplasia, eye issues and hypothyroidism. Malshis can live up to 14 years old, especially when looked after properly. In addition to daily exercise, you’ll need to groom a Malshi daily, to prevent knots and tangles and keep their coat silky. The Cairnoodle is a cross between a Cairn Terrier and a Poodle. This breed is small, even when fully grown, but is affectionate, happy and social, with an independent streak. When trained and socialised early, Cairnoodles make great pets that are obedient and good with other people and animals. However, these teddy bear dogs are prone to suffer from separation anxiety when left alone too long, as a result of the strong bonds they form with their owners. The potential health issues that the Cairnoodle can inherit includes epilepsy, eye issues, hypothyroidism, patellar luxation, hip dysplasia and more. To keep these dogs as healthy as possible, it is important to attend regular check ups with your vet, feed and exercise your pup daily, and incorporate grooming into your regular routine. Cockapoos are a cross between a Cocker Spaniel and a Miniature Poodle. These dogs are hugely popular because of their social, loyal, loving natures – they’re great with children and other animals, making them great family pets! They come in various colors and sizes, meaning each one is unique! They’re easily trained, and require daily exercise, but can be vulnerable to separation anxiety. Cockapoos can live up to an impressive 18 years when healthy, but can experience some health issues. These hereditary conditions can include luxating patella, progressive retinal atrophy, ear problems, and hip and retinal dysplasia amongst others. You can find out more about the gorgeous Cockapoo teddy bear dog here. Is a teddy bear dog a good pet? Teddy bear dog breeds are beautiful. They have amazing coats of fur, and really look the part. But they are 100% dog, 0% cuddly toy. This means that any teddy bear dogs require a lot of time and attention. Teddy bear dogs are not a single breed. Some will make better pets than others. With new breeds or mixes, we aren’t aware of every health issue they may experience. Make sure that that the breeder has health tested the parents of your puppy. This will help avoid those genetic problems that could affect their breed. If you have the time and energy to bring a dog into your life. And are committed to only buying a pup with health checked parents. Then do your research carefully and a teddy bear dog could be a lovely choice. I have two Maltese, bishon frise and shi tzu mix dogs. What would they be called? Hi Dana, I’m not sure if anyone has come up with a name for a Maltese, Bichon and Shih Tzu mix. However the Bichon Shih Tzu is known as a Shichon! I’m looking for a Bichon Frise or Zuchon as an ESA. We have a Zuchon, they are an incredible dog……very loving, playful, love to be around someone, easy to train, smart as can be, love to chew socks and deer antlers! What about Lhasa-Poo? Cross between Toy or miniature poodle and a Lhasa apso. I am Very interested in a multipoo, shihpoo or cockapoo teddy bear. Please respond with any info you may have. I live in MN, so not sure if they could be transported here, etc. Thank you for your consideration!